When do the games for the Showcase begin and end? 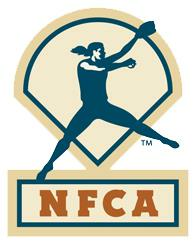 Showcase games will begin at 8:00 a.m. on Wednesday, July 10 and end at 4:00 p.m. on Sunday, July 14. The schedule will be finalized and posted Wednesday, July 5. If you are traveling from outside the meto Atlanta area, you should plan on arriving no later than Tuesday, July 9. All games will begin on Wednesday, July 10 at 8:00 a.m. If you are flying out on Sunday, you should not schedule a flight any earlier than 6:00 p.m. The parks are approximately 45 minutes to an hour from the airport. Estimate at least an hour to get through security and to your departure gate. What should I bring for registration? We require every participating team to provide a copy of their Certificate of Liability insurance at check-in. You may email a copy prior to your arrival to jclifton@lemgt.com. What time does the Camp begin on Wednesday, July 10? Do College Coaches attend the Camp? Will there be spotlight games on Tuesday, July 9 prior to the start of the showcase? Yes. If you are interested in a spotlight game on Tuesday evening, please email jclifton@lemgt.com. Can I book my own hotel rooms? All hotel reservations must go through Traveling Teams . Please select the Hotel Portal tab at the top and contact them directly to book. When do I need to enter my teams roster? We recommend entering your teams roster as soon as possible. We will be going to print on the player profile books for the College Coaches on June 30 so it is important to have it finalized and entered by then. How do I enter my teams roster? Login to your account registration. Go to your teams name under the "Teams" tab. Click on your teams name. A new window will open with several icons. Click on the Task icon and you will be prompted to add your teams roster. I tried to enter my teams roster but am unable to access the icon? Only those individuals you have designated as staff under your registration may enter your team page. You will need to change your status to "staff" under your teams information for eligible access. How many College Coaches are registered to attend the Showcase? You may click on the College Coaches tab on our website to see who has registered to attend. We recommend you email any College Coaches directly to alert them your team is playing in our showcase. How many teams are playing in the Atlanta Legacy Showcase? At this time, we will be accepting 320 teams. What complexes are each age group playing? Will there be medical staff on-site at each complex? Yes. We are proud to partner with Children's Healthcare of Atlanta(CHOA) to offer on-site medical staff for each of our complexes. Each CHOA staff is stationed next to the hospitality tent at each complex. Our Legacy Event staff and Volunteers will be throughout every complex and available to alert the medical staff should the need arise. 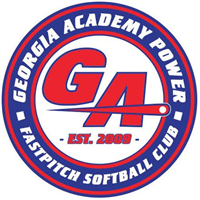 How do I get up to date information on the Atlanta Legacy Showcase? We utilize many different technologies to provide information to our teams, parents, players and coaches. We will email and text the coaches and managers who have registered for your team of any event details. We also recommend you like us on Facebook and follow us on Twitter. Our IT Director will be using social media throughout the event to provide up to date information. This will be especially helpful in the event of inclement weather as we post minute-by-minute updates on delays and cancellations. If accepted, when is my final payment due?